I think about this quote sometimes when I walk through our neighborhoods. Our buildings often give us a sense of place and help to shape our understanding of community. Every neighborhood has buildings that just feel special. Conversely, every neighborhood has buildings that you wish weren’t there. Of course, one person’s special building is another person’s eyesore, and vice versa. By its very nature, building design is subjective, particularly when it comes to issues of design style. But just because there isn’t universal agreement as to what is good design, doesn’t mean that there is no way to distinguish between excellent design and poor design. It also doesn’t mean that design isn’t important, especially as new buildings are added to a city or existing buildings are repurposed. 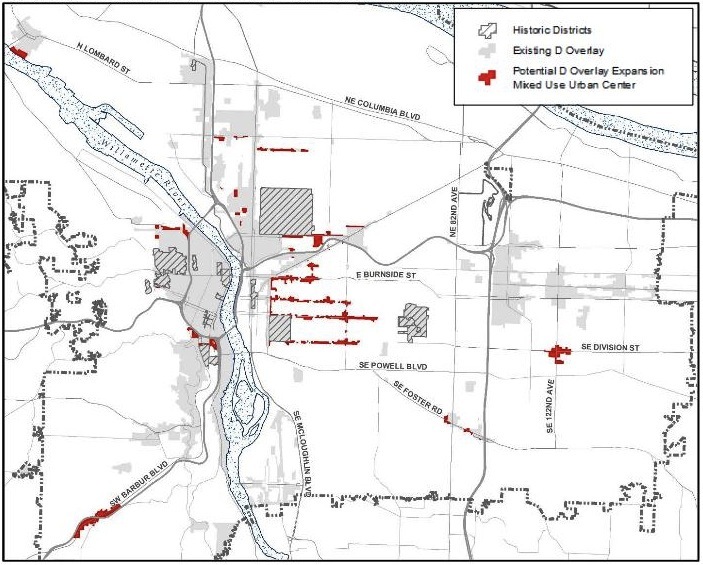 To date, the areas of special concern have included districts like Central Eastside Industrial District and the Lloyd District. These areas have adopted design guidelines that are specific to the districts and that are intended to guide new development or redevelopment so that it is compatible with the distinct characteristics of the area. This can include requirements for materials and form to align with existing area character. In the Central City, developers go through a mandatory Design Review, which requires a project to meet certain criteria before it can be built. Depending on the scale of the project, this can include a review by the Design Commission, a committee of volunteers who have experience in design, engineering, financing, construction, and management of buildings. Through this process, there are opportunities for the public to weigh in on design issues and for the design of buildings to be improved. In most areas outside the Central City district, projects in a Design Overlay Zone can choose to take one of two paths. They can either go through a discretionary Design Review where the proposal must satisfy a citywide set of Community Design Guidelines and any design guidelines adopted for the district or they can follow the Community Design Standards and be reviewed for compliance only. 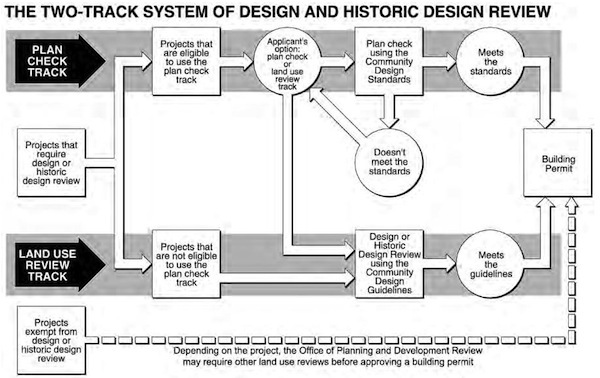 The Community Design Standards only address objective criteria like building materials, roof pitch, landscaping, windows, and location of main entrances. Depending on the scale of the project, contact with neighborhood associations may be required before a building permit is issued. The Community Design Standards can lead to better buildings and offer developers a quicker, less costly path to getting projects built than Design Review, but they currently have two major downsides. One major criticism of them is that they are citywide, rather than specific to each neighborhood, and therefore don’t always achieve the purpose of enhancing the character of neighborhoods. While the Comprehensive Plan update (currently in draft form) recognizes that one size does not fit all in Portland in its Urban Design Framework, the Community Design Standards, which are used in practice, are far less context sensitive. The second major issue with the Community Design Standards is that they are woefully out of date, a view the Portland Design Commission echoed in their 2015 State of the City Design Report. While the Community Design Standards might not recognize the individual character of each area it is applied, it is better than no design requirements, which is exactly what most of the SE Uplift coalition area has. 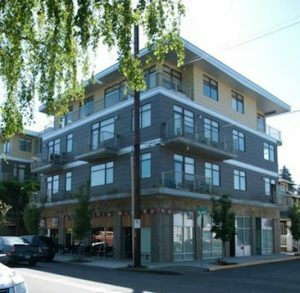 Most of the new buildings in Portland do not have to go through Design Review or comply with design standards, instead they only need to meet the minimum requirements of the Zoning Code. This means that the same building that can be built on inner Hawthorne could also be built at SE 82nd and Foster without attempt to recognize a neighborhood’s context. One proposal seeking to change that is the Comprehensive Plan’s Mixed Use Zones Project Concepts Report. If approved, the proposal would expand the Design Overlay Zone to areas that will be designated as Mixed Use-Urban Centers on the Comprehensive Plan map. In our coalition area this would include parts of Burnside, Belmont, Hawthorne, and Division largely west of Cesar Chavez, as well as the SE Foster/82nd node. These areas would follow the existing two-track system with the option for either a Design Review or the Community Design Standards. This might lead to some better design than would have been seen without the overlay, but most projects will likely follow the Community Design Standards which means they won’t necessarily deliver the context sensitive design that community groups such as the Division Design Initiative are hoping to see. So while extending the Design Overlay Zone is a step in the right direction, as long as developers are able to avoid design review by using the outdated Community Design Standards, this step alone is unlikely to improve the quality of new development projects. If we really want the new development along our neighborhood corridors to enhance the unique architectural character or the area, we will need to prioritize and fund an update to the Community Design Standards.